Sally Simpson of Olveston, Montserrat is the U.S. Montserrat resident, author who writes as ‘Adair Arlen’. 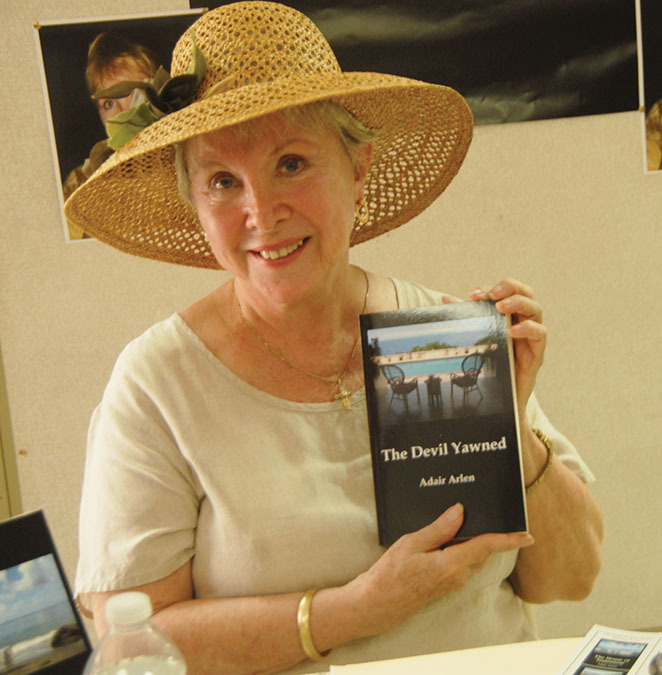 The book is her third, a US novel “The Devil Yawned”, in the ‘Paul Gregory’ series added to its collection of mind stimulating material. the other two books in the series are “The House of Tomorrow “ and “To Say Goodbye”. While welcoming persons to the book launch librarian Sonia smith describes Adair Arlen as an avid writer who has the ability to captivate audience through her story lines, which holds readers into the world she has created. “We at the public library truly believe in the promotion of material that will actively stimulate the imaginations of our users and instill in them the desire to read,” the Librarian said. She said as an avid reader Mrs. Simpson herself created a world so believable that her readers can just get lost in it, she creates that world where persons are able to feel that their actually thee and her diligence in carrying out the required research for her novels make them successful ones. Arlen treated the audience to four insightful readings from “The Devil Yawned”, following which she responded to questions from the audience. Not surprisingly perhaps, the first enquiry concerned the name of the book. Adair Arlen offered this explanation about the book and its name. She fielded several more questions including those concerning the current book she is writing which titled already, Isabella Regina. An interesting discussion emerged following the questions, answers, on reading books via electronic means as against the printed book. Librarian Sonia Smith observed, “According to the stats at the Library, our children are not reading as much.” She said that young teenagers were less interested in reading, especially boys. A member the audience, an expat resident presented herself as a former teacher concurred with the observation. She noted that it was not a new trend as she made that observation years ago among the same age group, but observed it seemed instead of getting better, “it has become worse,” gaining support from the Editor and others. The launch concluded with Sally signing and giving autographs to those who purchased books and wished her well. Books including the first two, are available at Amazon.com, in electronic form and in print. Also available from Sally by writing to her or at her website. (email: adairarlen@myway.com; and www.adairarlenbooks.com. 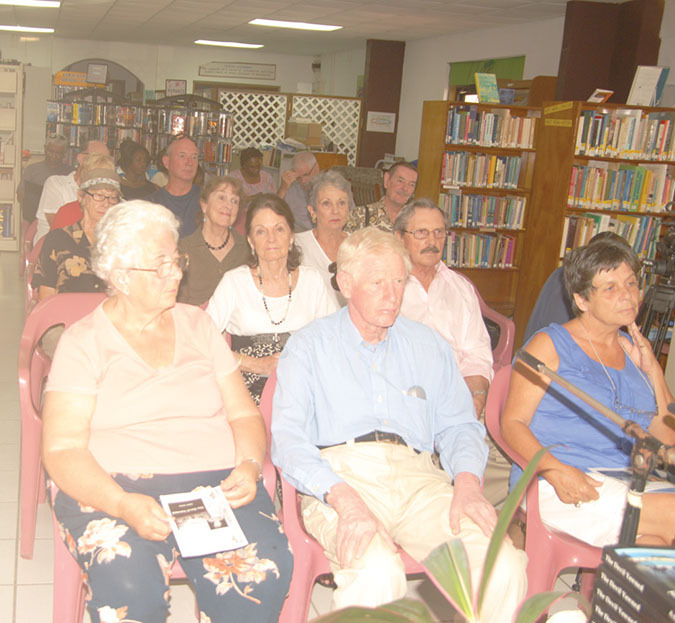 Meanwhile, Sally Simpson, w/a Adair Arlen, moved with haste to thank, she says, “all who helped with my book launch at the Montserrat Public Library on 11 April 2013. 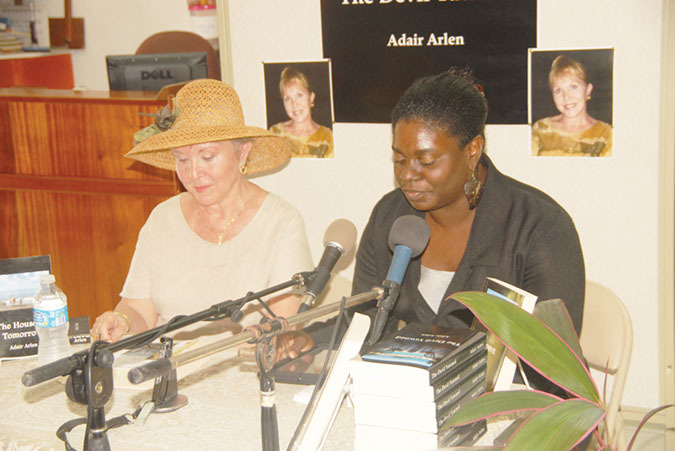 These include Rose Willock for having me on her previous Saturday morning’s show and Bennette Roach, who kindly featured my latest book, The Devil Yawned, in the March 22nd edition of The Montserrat Reporter. I also am indebted to Fr. George Agger for his lovely personalized opening prayer and to Pat Ryan who introduced me in flattering terms. I must be careful not to take all the kind words too seriously — what a wonderful ego trip this has been! 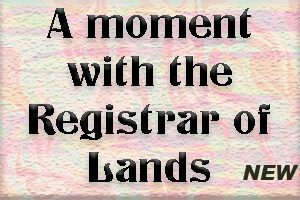 “Without the diligent help of the ladies of the library – Miss Sonja Smith, Mrs. Olivia Daley, Miss Dawn Ryan and Miss Shemoyah Cabey – this occasion could not have taken place. Their careful attention to detail and creative abilities, combined to avoid the event’s sinking into potential disarray. I especially appreciate Miss Smith’s proactive thinking and positive attitude, which made this book launch possible.